2018 Toys’R’Us Clearance Sale: Discount up to 70%! Location: Summit USJ, Subang Jaya. 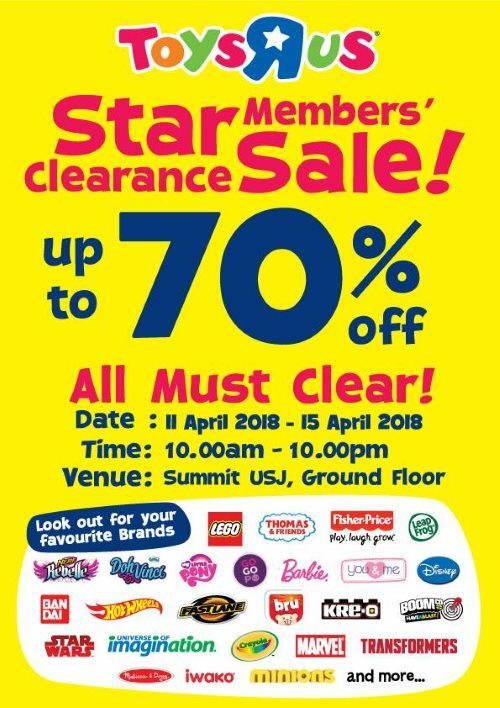 Toys’R’Us Star Members’ Clearance Sale is back! This time up to 70% discount! All Must Clear! Grab it before it's gone! Valid while stocks last.